Worried about performing anesthesia in your patients? Join us for a complimentary 1-hour VETgirl-Zoetis online veterinary continuing education webinar, where Dr. Tamara Grubb, PhD, DACVAA reviews the approach to anesthesia protocols and how to minimize anesthetic complications. In this lecture, she'll discuss important anesthesia topics such as anesthesia in the critically ill patient, the prevention of aspiration pneumonia or esophagitis, problems with uncontrolled pain, and appropriate use of monitoring devices to improve the safety of anesthesia. Thanks to sponsorship from Zoetis, free LIVE to all! 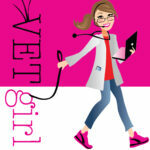 *Note: Viewing of this webinar is for individual use only; VETgirl webinars are not designed nor meant to be viewed in a group setting due to RACE-CE audit purposes. Inappropriate sharing or viewing of the webinar may result in revoking of membership. The link to order this CE is broken. Can it be fixed so I can use this course? I’ve heard great things about it. Hi Jacqueline – the link is working on our end. I would try refreshing your browswer. Hi Jacqueline – the link is working on our end. I would try refreshing your browser.